Chuck Comeau is defending Homes by Abu Bakr al Rabeeah and Winnie Yeung on Canada Reads 2019. Chuck Comeau and his bandmates formed Simple Plan in 1999. The band has sold over 15 million albums and performed in more than 70 countries around the world. Early on, they started the Simple Plan Foundation, which raises money for charitable causes devoted to helping young people in need — from suicide prevention, to poverty, mental health awareness, musical education and drug addiction. The band has donated over 2.5 million dollars to various charitable organizations and has received the Governor General's Meritorious Service Cross for their philanthropic work. Chuck lives in Los Angeles with his wife Jacquelin Napal and their 3-and-a-half year old son London and continues to tour with Simple Plan. He's currently writing new material for the band's sixth full-length album to be released later this year. "Imagine a childhood filled with bombs, attacks, bullets and dead bodies. That is the life that 10-year-old Abu Bakr lived in Syria, until he escaped to Canada. In this scary moment in our collective history, where fear and hatred have become normalised, Homes is essential reading. "This incredible memoir will make you more compassionate and profoundly grateful that you and your children don't have to fall asleep to the sound of machine guns at night. And it will make you very proud to be from there — this incredible country that brought Bakr here, ans his family, with open arms." 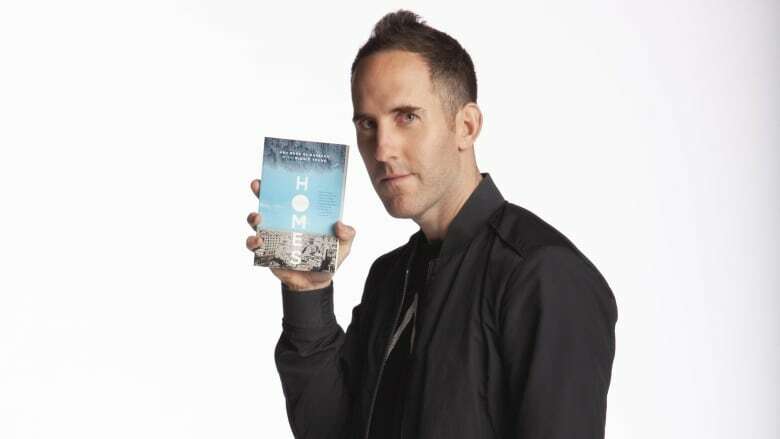 Read more in Chuck Comeau's interview with CBC.